Reem Acra SS’17. 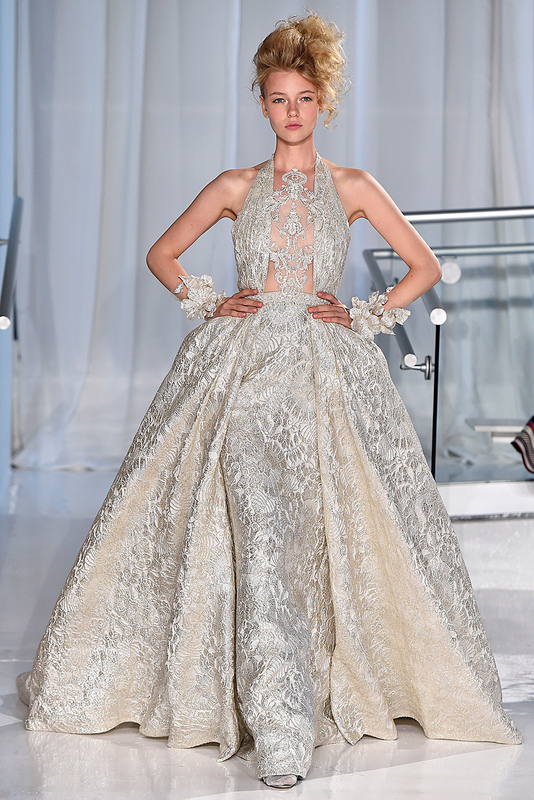 Photos courtesy of Reem Acra. 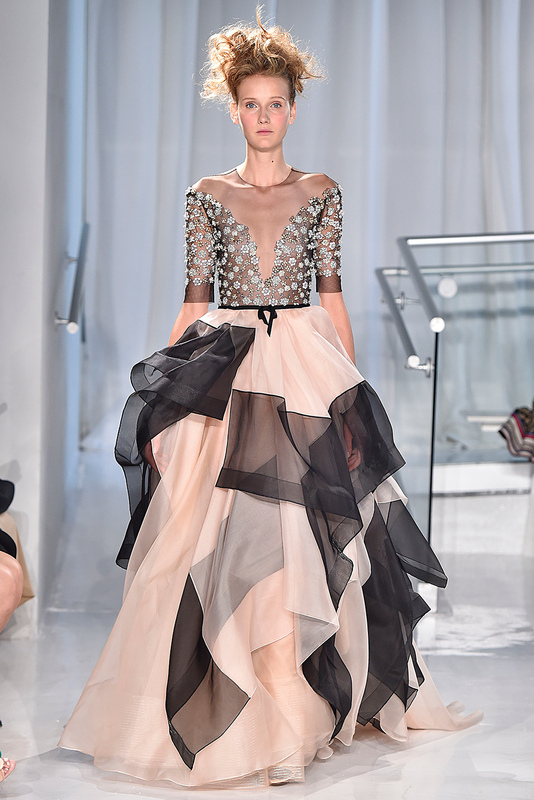 Reem Acra’s talent for luxurious evening wear has given the designer a stellar reputation on the red carpet. For her latest runway show on September 13th at New York Fashion Week she took her signature ball gowns to the next level by presenting several looks that appeared to be dresses but actually were separates that are able to be mixed and matched with more casual pieces for daytime. Her decision to include these pieces fits into a desire to appeal to a younger crowd of starlets, as did the bold prints and silhouettes which included multi-tiered ruffled mini skirts. The over-the-top floral embellishments and New Order soundtrack brought to mind Sofia Coppola’s Marie Antoinette – this was definitely a collection for the next generation of screen sirens. Luckily, Acra didn’t completely abandon her trademark, the show closed with a parade of stunning gowns suitable for any age bracket. We predict that a few pieces will make their second appearance at the next Academy Awards. Acra’s theme for SS’17 was poised as a question: “When you have the keys to the secret garden, do you use it, or, do you hide it?” Perhaps this is an illusion to the sheerness of much of the fabrics in the collection – when wearing a see-thru mesh skirt adorned with hundreds of sequined blossoms do you demurely layer with a slip underneath or go bare? We say, show ’em what you got! 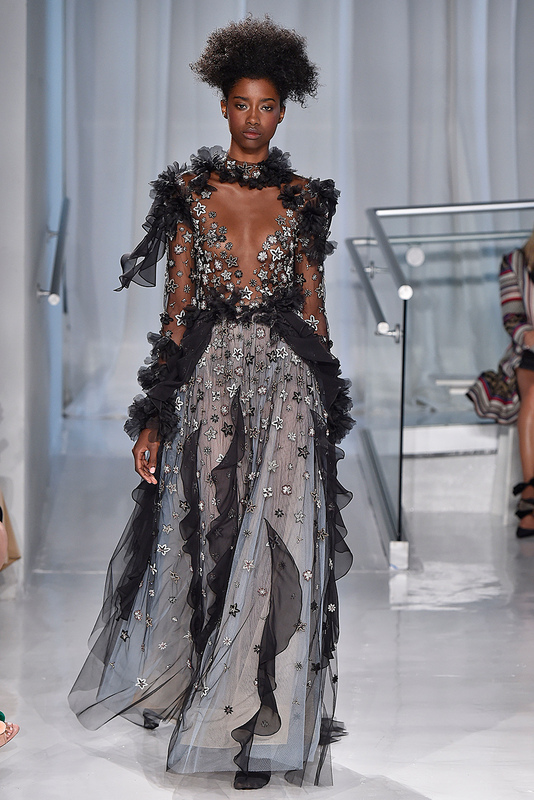 Images of Reem Acra SS’17 courtesy of Reem Acra.